Today is the Expository Preaching Workshop that I mentioned last week. 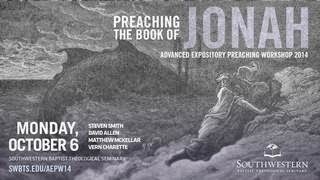 This year the workshop's focus is on the book of Jonah. Even if you can't attend (like me), Dr. David Allen, one of the speakers, has made his notes available on his website here.